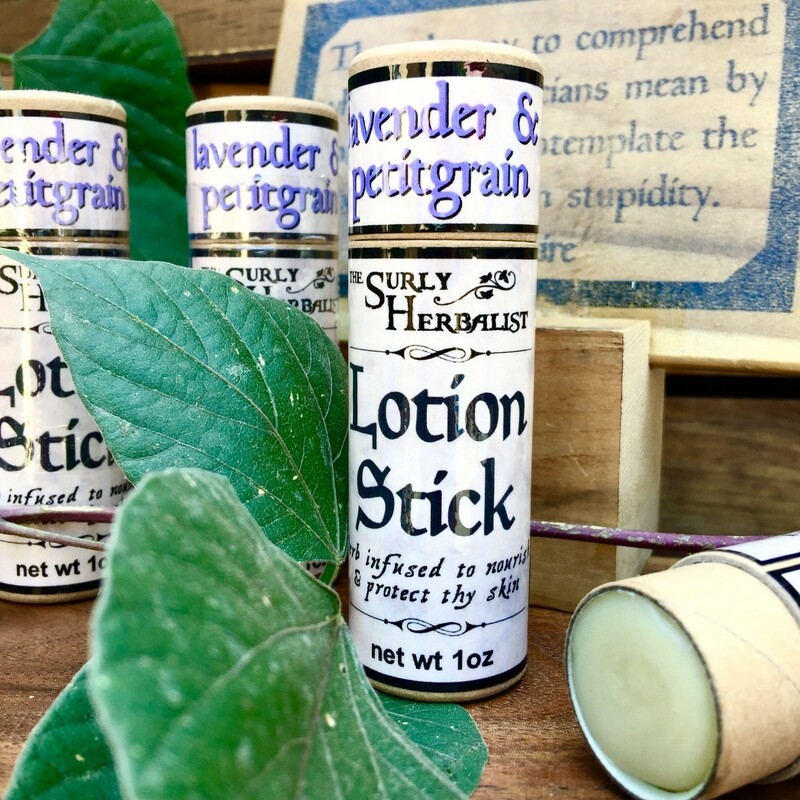 Scented with pure lavender and petitgrain essential oils. Soft lavender with a greener floral similar to neroli. ingredients: mango butter, candelilla wax, macadamia nut oil infused with organic herbs (gotu kola, licorice root, marshmallow root, nettle, rose petals & shavegrass), rice bran oil, **hydroxystearic acid, castor seed oil, **polyglyceryl-6 decabehenate/decacaprate, mimosa flower wax, essential oils of lavender & petitgrain, bentonite clay.